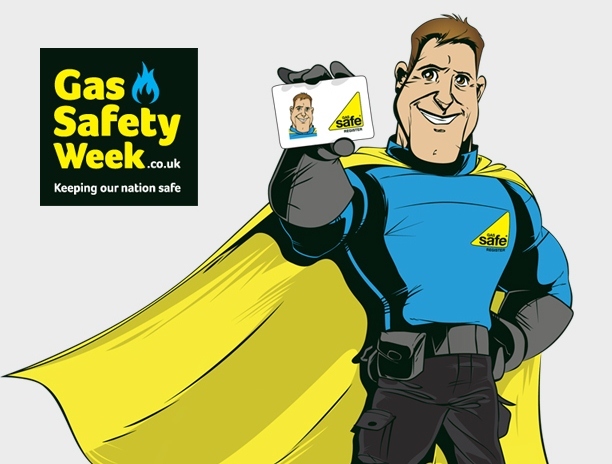 Gas Safety Week runs from Monday 14 to Sunday 20 September 2015 and we’ve pledged our support to raise awareness of gas safety at home. The campaign is co-ordinated by Gas Safe Register with support from the gas industry including retailers, manufacturers, consumer bodies and the public – you may already have seen some of their TV adverts! We rely on our gas boilers, cookers and fires to keep warm, have hot baths and showers and cook hot meals. It’s important that gas appliances are safety checked every year and regularly serviced to help keep us safe and prevent them from breaking down when we need them the most. Poorly maintained gas appliances can cause gas leaks, fires, explosions and carbon monoxide (CO) poisoning. If you’re a council tenant, Building Services will send you an appointment when it’s time for the annual gas safety check in your home. Please allow them in to your home to carry out this vital service. If you smell gas or think there might be a gas leak, call the free 24 hour national gas emergency number on 0800 111 999.